WASHINGTON — In the three days after the Democrats captured the House, President Trump fired his attorney general and replaced him with a loyalist critical of both the courts and the Russia investigation. He banned a CNN correspondent from the White House, while threatening he would do the same to other journalists. And he accused election officials in Florida and Arizona of rigging the vote against candidates he had campaigned for. It was a remarkable assault on the nation’s institutions, even by a president who has gleefully taken a hammer to the press, to judges and prosecutors he does not like, and to an electoral process he has denounced as fraudulent since the day he took office. 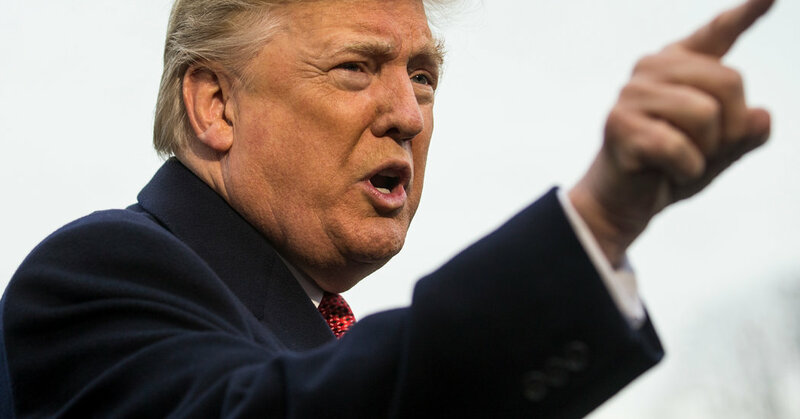 Mr. Trump’s actions suggested a president lashing out after a midterm election loss that he had initially cast as a victory. Now he is girding for battle with a newly empowered Democratic opposition — one armed with subpoena power and a long list of questions about his conduct in office and ties to Russia — and it has brought out a fresh aggressiveness in him. While each of his actions rattled Washington, Mr. Trump’s appointment of Matthew G. Whitaker as the acting attorney general, replacing the ousted Jeff Sessions, raised the thorniest ethical and legal questions, according to lawyers and former Justice Department officials. Mr. Whitaker’s radical legal views; public disparagement of the Russia investigation, which he now oversees; connections to a Florida company shut down after fraud allegations; and lack of Senate confirmation each make him a dubious choice to be the nation’s chief law enforcement officer. Together, critics say, they make him a threat not just to the work of the special counsel, Robert S. Mueller III, but also to the rule of law more broadly. “Whatever the right answer to the particular ethical and legal issues might be, we should not lose sight of the larger question of whether this is an effort to undermine the system of justice,” said Walter E. Dellinger III, who served as acting solicitor general in the Clinton administration. Mr. Trump is not the first president to appoint an ally with thin credentials to run the Justice Department: John F. Kennedy picked his brother, Robert. Nor is it unusual to staff government agencies with officials who bring vested interests to the job. But Mr. Dellinger said there was no precedent for installing a political crony as attorney general at the very moment that he could decide the fate of a federal investigation involving the president. Even Mr. Trump seemed to recognize the problematic nature of the appointment. On Friday, he told reporters he did not know Mr. Whitaker, the opposite of what he said on a Fox program only a month earlier, and he emphasized that Mr. Whitaker was serving on an acting basis. Still, the president brushed aside questions about Mr. Whitaker that, to most legal experts, are fundamental: Should he be disqualified because he was not confirmed by the Senate? And should he recuse himself from the Russia case because of his demonstrated hostility to Mr. Mueller’s investigation? For the most part these days, Mr. Trump speaks less in sorrow than in anger. His vexed relations with the press have turned bitterly hostile, for example, and his list of grievances keeps getting longer. He also went after Abby Phillip, one of Mr. Acosta’s CNN colleagues, and April Ryan, a correspondent for American Urban Radio Networks, for asking questions he did not like. All three are African-American women. He warned that he might pull the credentials of other reporters who did not treat the presidency with appropriate respect — a step that no previous occupant of the office, even Richard M. Nixon, has taken. Similarly, Mr. Trump’s view of the midterm results has turned sharply negative. On Tuesday, he trumpeted Republican victories in several Senate races as defying the odds for a sitting president. By Friday, as the counting of late ballots continued and Democratic candidates in Florida and Arizona suddenly looked as if they might emerge on top, Mr. Trump blamed corrupt election officials for “finding” Democratic votes. Mr. Trump lightheartedly linked his allegations about the midterms to Russia’s interference in the 2016 election — something that other officials in his administration have portrayed as a corrosive threat to the integrity of American democracy. He posted six more tweets about the alleged voter irregularities and vowed to send a battalion of lawyers to stop them. The last time Mr. Trump promised to expose voter fraud, nothing much came of it. And his attacks on the news media have so far failed to prevent reporters from doing their jobs. But the president’s appointment of Mr. Whitaker, experts said, was a threat of a different order. It demonstrates, they said, that Mr. Trump still views lawyers — even those at the top of the Justice Department — as advocates for his own interests. Mr. Whitaker’s reservations about Marbury v. Madison, the landmark 1803 ruling that enshrines the Supreme Court’s right to review executive and legislative actions and declare them unconstitutional, could jeopardize the status of the judiciary as an equal branch of government, according to legal scholars. To hold a view so far outside the legal mainstream, they said, raised questions about how Mr. Whitaker would handle momentous issues, like the role of the courts or the fate of the Mueller investigation. But it could also corrode the day-to-day work of the Justice Department, which affects millions of Americans.